Which road systems were built along Native American trail ways, and why? 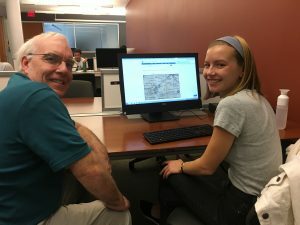 This research question, formulated by Molly Leech ’17 for her senior thesis in Anthropology and Sociology under the supervision of Professor Andrea Smith, represents the sort of historic geographic scholarly inquiry that John Clark, Data Visualization GIS Librarian, loves to support in his role at Skillman Library Digital Scholarship Services (DSS). John offers a “Making Maps” workshop series at the Skillman Library that introduces students, faculty, and librarians to such tools as Google Maps, Social Explorer, and ArcGIS, a popular desktop GIS (Geographic Information Systems) application available to the Lafayette community at Skillman. He also supports faculty and student research projects such as Molly’s. While attending John’s “Making Maps” workshops to learn about digital tools she might use to explore her thesis topic geographically, Molly had the opportunity to share her research question with John, and she now works closely with him on a substantive GIS component for her thesis. 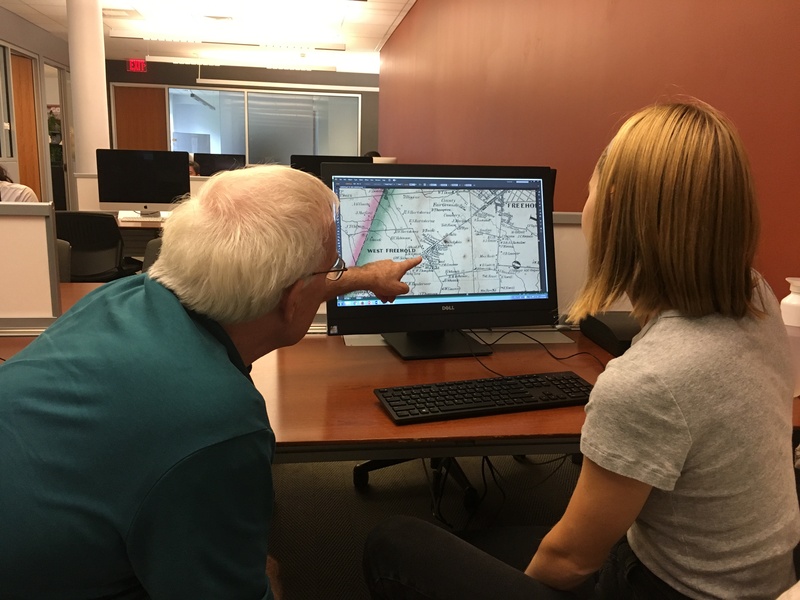 Are you interested in incorporating a mapping component in your research or teaching? Contact John Clark at clarkjh@lafayette.edu. This entry was posted in Classroom Projects, Digital Scholarship Services, Uncategorized and tagged GIS, undergraduate research by Charlotte Nunes. Bookmark the permalink.